Parallel parking is tricky, even for seasoned drivers. That said, many motorists go to great lengths to prevent having to parallel park. While parallel parking is somewhat tricky and requires some practice to learn, there’s absolutely no reason to worry about this driving ability. Based on where you reside, you might have to demonstrate your capability to perform parallel parking at some point during your driver license exam. Practice your parallel parking skills before your road test, not right before you must parallel park on a busy roadway. Put two vinyl cones or other items about fifteen feet apart to mimic the conventional size parking space. This report describes the concept behind the technique and offers 10 easy-to-remember steps. Readers will have no trouble mastering the technique of parallel parking after reading this article. Why circle the block searching for a parking space to pull into, once you’ve mastered the fine art of parallel parking? And it never fails to impress your passengers as you confidently reverse your car or truck into a parking space between two other vehicles. Parallel parking involves multiple steps and is tough to eyeball. You want to know about all of the actions involved and plan out your strategy. Also, parallel parking entails moving exceptionally close to other vehicles and keeping an eye on things at one time. No wonder even experienced drivers sometimes feel nervous about parallel parking! Fortunately, the steps are easy to describe and practice, and there is no reason why you can not learn how to parallel park flawlessly each time. First, start looking for a suitable parking space between two vehicles, parallel to the curb. If you are not sure your vehicle will fit, you probably can’t. You’ll be needing a buffer of at least 3 additional feet for maneuvering. Put on your turn signal once you have chosen your space. This indicates to other drivers that you are parallel parking. Otherwise, drivers have a tendency to pull right up behind you and get annoyed that you are not moving. Use these instructions as a guide for practicing parallel parking for the first time. Gradually steer your car so that it’s parallel to the car parked in front of the vacant space. Your car should be 2-3 feet from the side of the parked car you’re next to. Take a look in your rear-view mirror, in addition to your left and right side mirrors for any approaching traffic. As soon as you’re sure there are no other vehicles in your blind spot, put your vehicle’s transmission into reverse. Gradually begin to back your vehicle along the side of the parked car. Start to turn your steering wheel to the right. As your car begins to slowly ease into the empty parallel parking spot, slowly straighten your steering wheel as you continue to move back towards the parked car at the opposite end of the parking area. As you’re maneuvering your car or truck, always assess all mirrors and through your windows and front windshield to make certain you’re not at risk of hitting both of the vehicles bordering the parallel parking space. When the front of your vehicle has passed the rear bumper of the car in the parking place in front of you, start to turn your steering wheel to the left. Continuing to inch backward in reverse and while starting to straighten your steering wheel, then look into your rearview mirror to see how near your car or truck is to the vehicle in the parallel parking place behind you. 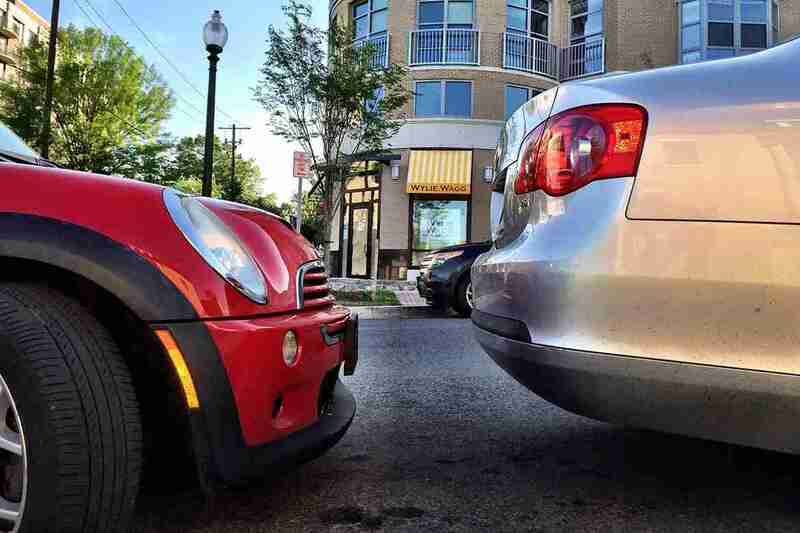 As soon as you’ve got your automobile right and as close to the curb as you can, you might have to change into forward to position your car so that there’s an equal quantity of distance in front and behind your car. Many parallel parking spaces are assigned a parking meter. This is especially true in major metropolitan regions. Make sure that you don’t forget to feed coins into your parking meter once you parallel park your car. To exit a parallel park, first set your vehicle into reverse and back towards the car behind you. Back as close as you reasonably can without putting yourself at risk of hitting another car. Then turn your steering wheel to the left and change your car into forward. Assess traffic. Making certain you are not too near the rear bumper of the automobile parked in front of you, slowly drive from the parallel park. The ability to carry out parallel parking is a very useful driving ability. Practice parallel parking until you feel confident in your ability to recall the steps and follow them. Being confident in your ability to parallel park with ease will save you from having to look for a normal parking area in which to place your car. With a couple of tries, you should have the ability to have the sense of parallel parking and impress your driving instructor or friends.